Craigslist can be a wonderful place, and despite the existence of newer, flashier, Web 2.0–ier websites, a lot of people still turn to it when they need to buy or sell furniture, cars, bicycles, or large wooden viking ships. And because love is like a chair or a car or a viking ship, people also turn to it when they believe they have found the love of their lives. 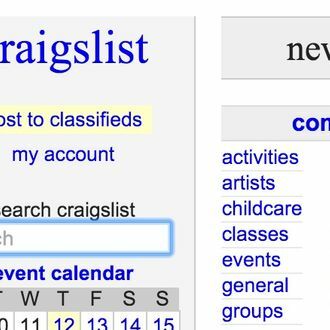 Over at Vox, Ilia Blinderman crunched the numbers on 10,000 posts from Craigslist’s legendary Missed Connections sections last January, extracting some interesting results. And what’s the point of crunching those numbers if you’re not going to extract some lessons from them? Lesson one: Your chances of showing up in a missed connection are pretty slim. In Dallas, there were 12 posts for every 10,000 people; in larger cities like New York and L.A., that stat drops to 3.14 and 1.82 per 10,000, respectively. So don’t obsessively refresh hoping someone will post about you. If you are going to obsessively refresh, do it in the evening. Blinderman found that — lesson two — the highest number of posts generally occur between 6 and 10 p.m. Lesson three is probably obvious. If you want to meet someone through a Craigslist missed connection, be a woman. Men posted far more often than women; in L.A., “Men post 5.3 missed connections for every post made by a woman.” In NYC, that ratio dropped to “just” 3 to 1. Finally, not a lesson, just an observation from Blinderman: m4m posts were consistently among the shortest, while w4w posts were often longer. So what’s the takeaway? It’s tough to say, but I guess it’s this: If you’re constantly refreshing Craigslist during the day, hoping that guy or girl you made eye contact with on the subway spotted you, maybe find a better use of your time.